myPharmacyLink is a free App that links you directly with your trusted pharmacist. It makes it easier to manage medications for you and your family, and saves you time. To register for the App, you need to see your pharmacist, who will provide an activation code. 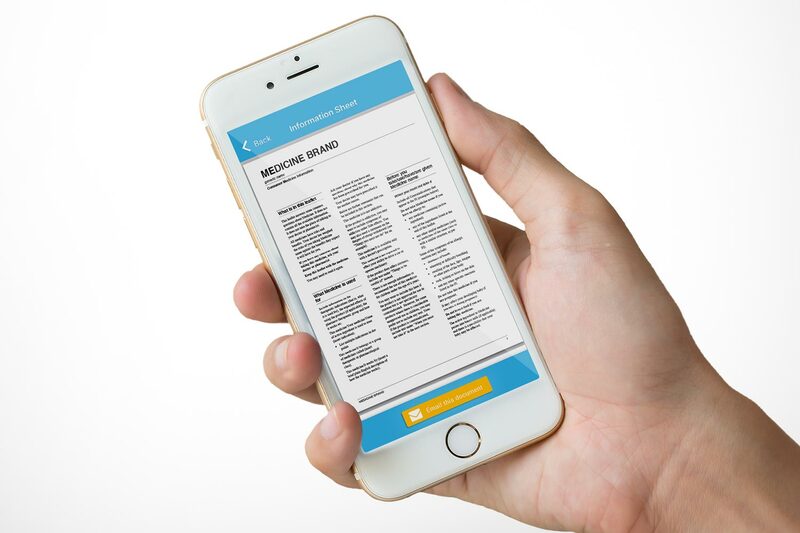 It’s Your Pharmacy App: Once you activate myPharmacyLink, it will connect with your local pharmacy and display your pharmacy’s logo, branding and other details. 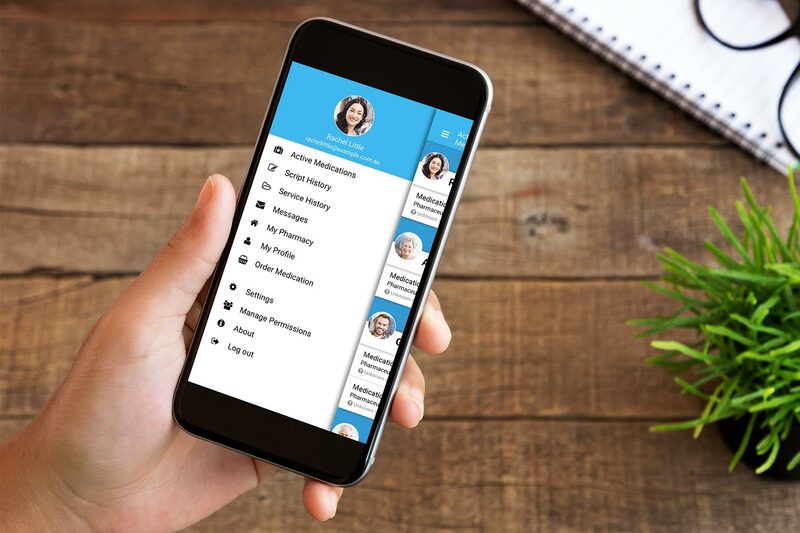 This App enables your trusted pharmacists to provide ongoing and convenient support for when you leave their store through safe technology solutions (Click here for more information about the App developer). Your trusted pharmacist is your single point of contact for any queries about the information in your app and the features available to you. For this reason you can only link with one pharmacy to maintain integrity of your health records. If you are caring for other family members, your pharmacist can set up links to their profiles, with the appropriate consents and permissions. My Medications automatically shows the current scripts that you have had filled at your local pharmacy. At a glance, you can see your remaining supply and the number of repeats you have left. Under each script are the dosage details, links to Medication Information (an information sheet about your medicine) and an image of the medicine itself. Handy reminders at the bottom of the screen indicate when your supply is running low, when you’ll need to order a new supply or when you’ll need to organise a new script from your doctor. If you’re managing medications for other family members or dependents, you can also access this information for their scripts. This takes the worry out of having to check how many tablets they have left or if they are on to their last script. See My Permissions for how to link up with profiles of your family members. Take the right medicine at the right time, with no unexpected delays between scripts. On Script History, you can view a complete 12-month history of all your medications from when you activate myPharmacyLink. This list includes the date of each prescription and the number of repeats. It is particularly useful when discussing your health management with a new doctor or other healthcare professionals. Your personalised dosage details also show an image of each of your medicines. This can be handy if you’re taking different types of tablets or if you’re assisting a family member with their medications. Script History provides access to information about each medication. 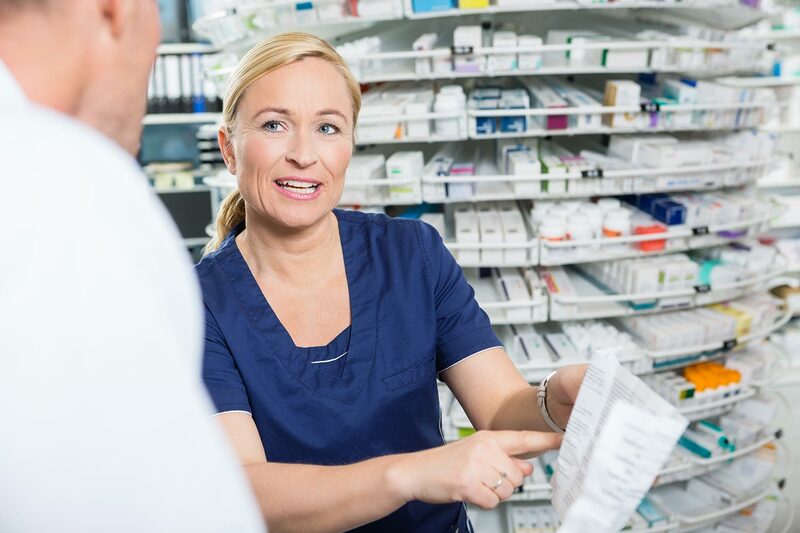 Your list of scripts is automatically updated when a new script is dispensed at your local pharmacy. The script history of any linked family member is also displayed on this page. You can use this information to help ensure the correct medication management of your spouse, child or elderly parent. Refer to My Permissions. 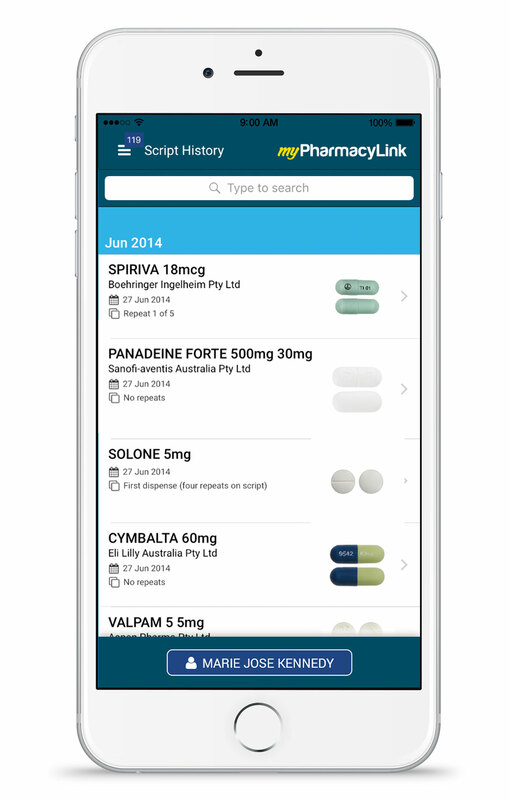 When you’re travelling or seeing a new doctor, myPharmacyLink has all your medication information at your fingertips. You can access detailed information about each of your medications at the touch of a button. This information helps you to take your medicines safely and effectively, and improve your health. any other issues that may affect your medication. You can rely on this information to be accurate and up-to-date, as it is linked into the online database of most prescription medicines in Australia. The designer of this app, GuildLink Pty Ltd, manages this database and its website (www.medicines.org.au), and distributes Consumer Medicine Information (CMI) to health professionals across Australia. Accurate, up-to-date information on all your medications. Many community pharmacies offer a range of health services, such as blood pressure checks, blood glucose monitoring, inhaler technique checks and vaccinations. When your pharmacist conducts any of these services, your report will be available on myPharmacyLink. Through these reports, you can keep track of your progress over time, and you’ll know when it’s time to check in with your doctor. You can share your progress reports and test results with your doctor or health professional at the tap of a button. For example, if you want to show your doctor the results of your latest blood glucose test, simply type in the email address and your report will be sent. If you are linked in with other family members, you can also monitor their progress reports and test results. Refer to My Permissions. With access to your reports at your fingertips, you can better manage your health and keep your medical professionals informed. to your in-pharmacy progress reports and test results. myPharmacyLink gives you direct access to your trusted pharmacist. If you have any questions or concerns about medicines for you and your family, you can communicate easily with your pharmacy. This means peace of mind when you’re starting a new medication or managing a combination of different medicines. Any communication with your pharmacist will be stored in Messages so you can check back when you need to review the details. You will automatically receive an alert when your current medication is running low and your repeat script is due. If you have ordered your medication, you’ll receive a message to say it is ready for collecting at your local pharmacy. 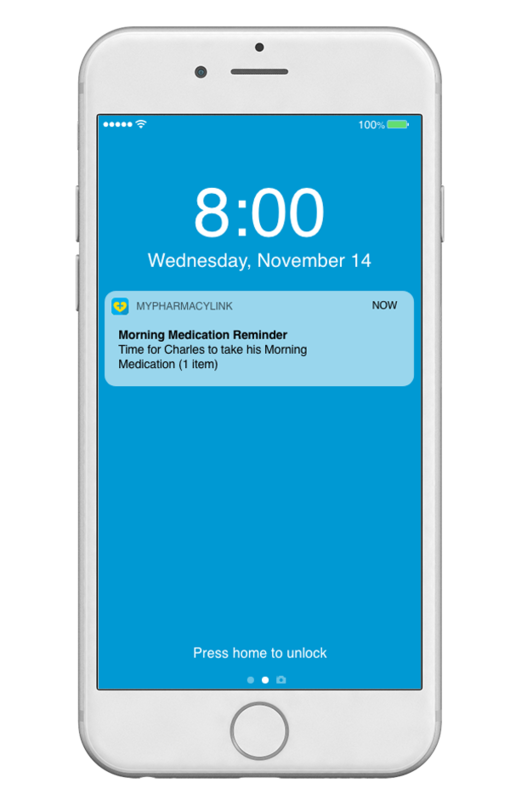 To ensure that you never have an unplanned break in your medication, you’ll receive an automatic reminder when it’s time for you to make an appointment with your doctor for a new prescription. These reminders are a convenient way of making sure that you and you family members never run out of your medications. Ask your pharmacists when you have any concerns about medications. Save time by ordering your prescription medications through myPharmacyLink. You can order one or more medications. If you are managing medications for different family members, you can conveniently order and collect medicines for each of them at the same time. To order medications, simply leave any repeats with your local pharmacy the first time you use the script. Your pharmacist can then dispense the repeat script when you order online. You’ll receive a message when your medications are ready for collection. It means less waiting time, and you and your family can stay on track with your medications. Almost half of all Australians have stopped taking prescribed medicines before they were due to finish. Obviously, when you don’t finish your proper course of treatment, it can take longer to recover. The option to press a button to order your medication makes it easier to complete your course and protect your health. Save time and order your medication at the press of a button. You’ll receive a message when your medications are ready to be collected. Set dose reminders to help you remember it time to take your medication. These can be set to a specific time and linked to your medications. If you are managing medications for others, you can also set dose reminders, however this will only appear on your local device. You can also hide the medication name so it doesn’t appear in the notification badge. myPharmacyLink provides fast, easy access to all of your pharmacy’s contact details. You can check your pharmacy’s opening hours, connect to the website or call them directly with one tap. You can also see a map and get directions to the pharmacy. With these details on hand, you’ll be able to visit your pharmacy at the most convenient time. Each community pharmacy provides a range of professional services. Find out about the professional services offered by your local pharmacy that could be useful to you and your family. These may include blood pressure monitoring, blood glucose monitoring, inhaler technique checks and vaccinations. 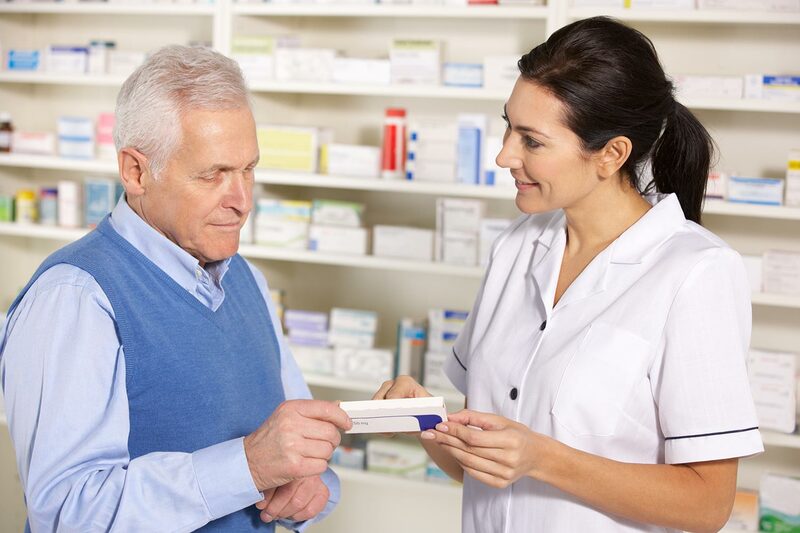 When you visit your pharmacy, they can advise on any of your medications. For example, they can demonstrate how to use an asthma inhaler device correctly or screen for type 2 diabetes. myPharmacyLink gives you direct access to your trusted pharmacist. If you’re managing medications for your children, spouse, elderly parents or other dependents, you can link to their profiles, with their consent and the appropriate permissions through your local pharmacist. You’ll be able to access all of the same information as in your profile – medication information, remaining supply, script history and services history. When your family member is running low on medications or needs a new script from the doctor, you’ll receive a message through myPharmacyLink. It is estimated that 190,000 Australians are admitted to hospital each year as a result of medicine-related problems. If someone you care for has difficulty remembering when and how to take their medications, you’ll have the information at your fingertips to help them follow the proper dosage and course. You can order repeat scripts for family members and receive an alert when the medications are ready to be picked up – this will save you time when you’re managing medications for yourself and family members. Easily manage medications for your children, spouse, elderly parents or other dependents.